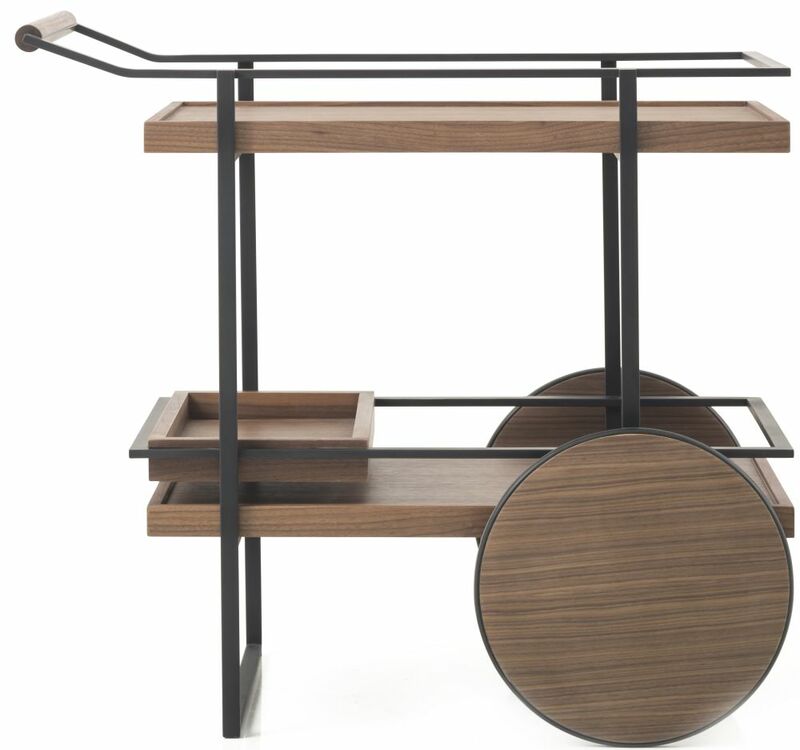 The James Bar Cart is a light and elegant trolley designed by Yabu Pushelberg for Stellar Works. The trolley is designed to turn negative space into an aesthetic feature, making use of floating planes and wireframes to create an air of sleekness and simplicity. The James Bar Cart is appropriate for both domestic and commercial uses, especially as a decorative and functional feature in hotel rooms or living rooms. The trolley is part of a collection which also includes a stool. Serendipitously brought together in 1980 by a shared hunt for a studio space, George Yabu and Glenn Pushelberg have created a globally renowned collaborative interior architecture and design practice driven by curiosity, experimentation and attention to detail. From its studios in New York and Toronto, Yabu Pushelberg brings together innovative materials, talented artisans and a trend-transcending approach that has firmly established the practice as an international creative leader, celebrated for the personality and emotional resonance of the designs it produces.